The Mercury Music Prize: curse or conquest? The winner of the 2008 Nationwide Mercury Music Prize is announced tonight at a lavish awards ceremony featuring performances from the hopeful nominees. Take a moment, however, and cast your mind back as far as 2001 and perhaps you'll recall when Damon Albarn's Gorillaz pulled out of the shortlist proclaiming that winning was "like carrying a dead albatross around your neck for eternity". A damning indictment to receive from a group made up entirely of cartoons. 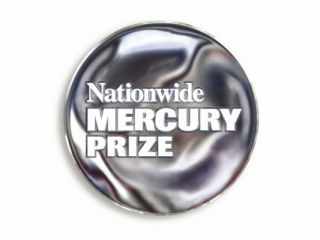 So, this got us thinking about the nature of the prize: is it useful to its winners, or is there, in fact, a curse of the Mercury that all hopeful candidates should be aware of? It seems that just being nominated can to translate into serious financial gain. According to official figures, many lesser known artists who have secured a place on this year's shortlist have already enjoyed a dramatic increase in sales. Bands including The Last Shadow Puppets, Portico Quartet and Neon Neon are all cashing in on the fruits of having their name attached to such a high profile industry event. It's not just the unknowns who are reaping the rewards: all of the nominees, which include the likes of Radiohead and Estelle, have seen an increase in sales since the nominations were announced in July. It seems that in the short term, at least, being nominated for the Mercury Music Prize is definitely something worth celebrating. Nevertheless, a cursory glance at the list of past winners reveals a different side to the story. What, after all, has happened to the once popular Ms Dynamite? She won the prize in 2002, but decided to take a break from the industry a mere three years later. Little has been heard from fellow winners Badly Drawn Boy, Talvin Singh and Roni Size. It's probably best not to dwell on the case of M People, who inexplicably beat Blur, Pulp and The Prodigy to receive the accolade in 1994. Winning the Mercury Music Prize obviously does not automatically guarantee longevity. Any artist [copy cut] misguided to believe that it can is sadly naïve. Nevertheless, in an era when the music industry is desperately trying to find a way to boast dwindling album sales, having your name attached to such large industry event is not something to be sniffed at. A dead albatross it most certainly is not.